Durvasa is famous for his anger and his curses are mentioned frequently in ancient texts. Following are the few incidents related with this trigger happy sage. The meaning of Durvasa is someone who is difficult to live with. 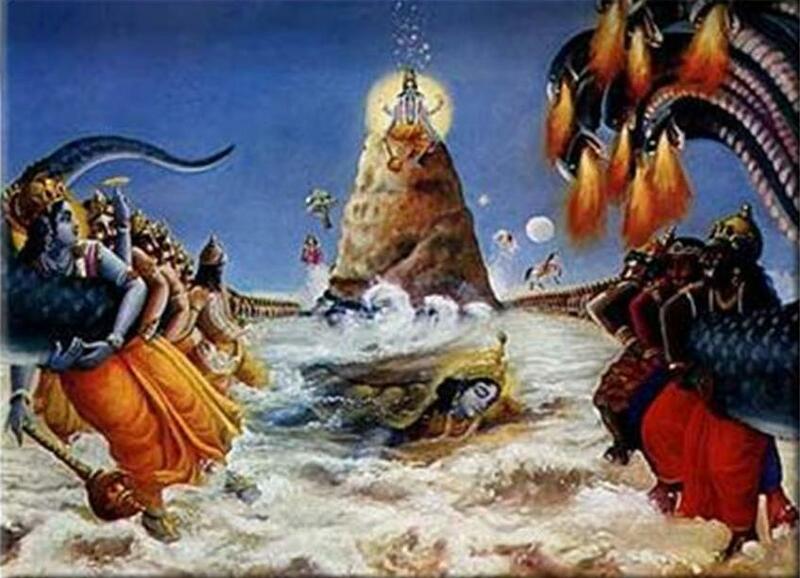 His most famous curse is on Indra, which led to churning of ocean. Once, Durvasa presented Indra a garland. Indra put that on Airawat’s (Indra’s elephant) head. The elephant has thrown the garland on the floor. Enraged by this incident, Durvasa cursed indra. As a result, the devas become weak and went to vishnu for help. Vishnu helped Devas which resulted in gods getting hold of amrita. The complete story is available in Kurma avatar – Vishnu dashavatar. May be hindi movies are inspired by this incident. Manmohan desai made lot of hindi movies on lost and found formula. We have similar incident in mythology as well. 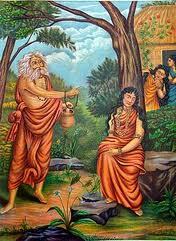 Durvasa cursed shakuntala that her lover would forget about her. She could not notice the sage as she was thinking of Dushyant. She begged for forgiveness. Durvasa, softened his stance that he would remember her after seeing the ring he has given to her. Durvasa one day visited Rama. He wanted to meet Rama and asked Laxman to let him meet. Laxman denied him because Rama was in a confidential meeting with death. It was understood that who so ever appears during that meeting, will die. Durvasa was adamant and he was threatening to curse whole of Ayodhya. Fearing this, Laxman thought that it is better to sacrifice his life instead letting Ayodhya suffer. 2. Curse on Durvasa by sage Orga. 4. Pandavas were on the verge of receiving a curse from Durvasa, but they were rescued.